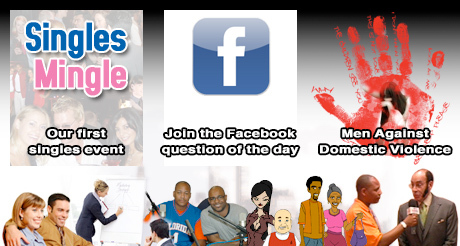 We want to know how our viewers feel about particular relationship topics so we will post discussions for you to join in and tell us how you feel. The discussions will be used on the Them-Us show and posted on all of our social media connections. The Singles Mingle our first informative fun singles event. Make sure you check #themustalk Monday, Wednesday, and Friday from 12:30 to 1:30 on twitter @them_us. We hit you hard with all types of relationship questions that make you think laugh and always entertaining. Support Them-Us.com in building better relationships and empowering people. Click donate to find out how.